Its not often heard, the ‘Bad Girl’ of any show, loved and lauded by the audience. We see Gauri Lada has broken the shackles with Paanch. What is the secret behind this huge fan following? I think what people saw in Gauri was a girl of today, a girl in control, a girl who knows her mind and knows how to get things done. She is strong and independent with a calm confidence, leave aside the means and tactics she employs. These are all very desirable traits. Girls get inspired by it and boys admire it. That is what I have gathered from all the messages I get on a daily basis. You were called ‘Gauri’ in the show…’Gauri’..the other name of Goddess Durga, stood for destroying anything evil, making wrongs right…but in this show ‘Gauri’ led everything evil, wicked and malicious are her middle names, was there a theory behind this contradiction ? What are your thoughts on this ? I am not entirely sure so much thought went into the meaning of the name. But I think the name Gauri Laada had a certain ring to it. It went well with the character. I’ve also been told the name suited me. The names of some characters were changed to better suit the people who were cast from what I know, although I believe the name Gauri was always the first choice for my character. Do you think an actor gets more opportunity to explore his/her talent while portraying a negative character? Is it more challenging to play a negative character? Moving from Gauri to Rashi Mal………..
An engineer… a dancer…a theatre personality………an actress…. What defines you the best ? Any regrets on this huge change over ? To answer your first question I’ll quote a teacher I am training with here in New York who just today said to me ” Dont let them define you as just one thing. Just go out there and make art, do your thing” She was a dancer who had a career ending injury and then became an actor. Today she is a Director and Choreographer. And to answer the second question I’ll quote Jim Carrey. He said he learnt from his father that you can fail at what you don’t want, so you’d rather to do what you really want. I don’t regret my choice for a minute. Gauri enjoyed her authority, control and power, any threat to her position made her see red. Is there any similarity between Rashi ‘n’ Gauri as per this attitude of hers? Is Rashi a totally different human being ? Ofcourse I am a different person. But no person is devoid of all these emotions you just listed, just the degrees vary in my opinion. We all have shades of grey. Nothing is black or white in its entirety. Besides you can always find things to relate with in any character. I am very head strong as well and I like to do things my own way. What keeps Raashi Mal going ? What are the dreams she is pursuing currently ? My curiosity keeps me going. I am currently in New York taking dance, acting and singing lessons so I guess I am living my dreams. I want to bring back my experiences here to my work and life and storm ahead in the performing arts. Aab Kuchh Masti Ho Jaye……………………. If you were to imagine each of your co-actor as a cartoon character…….what would they be ? Professor Utonium from the powerpuff girls cause he has to take care of and put up with us crazy people. Sheetal Singh speaks to us……..
Happenstance wishes Sheetal Singh many more exciting and thrilling projects. The adorable Bala Jiju of Yeh Hai Mohabbataein…..Angad Singh Maan of Bani….. 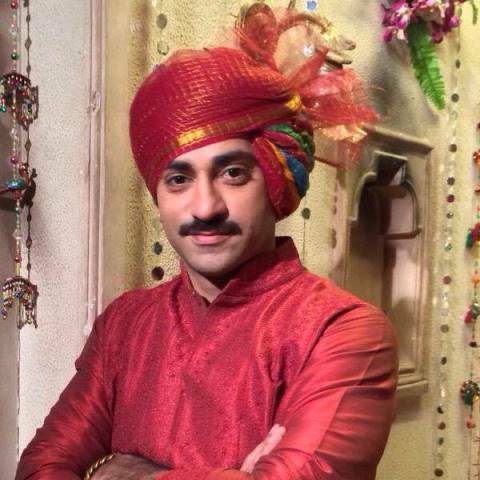 Yes our very own Pankaj Bhatia, the actor behind these roles, ensures his presence captivates the audience whenever he is on screen…..Dulhan, Hawan, Sabki Laadli Bebo……he has left a mark with power packed performance in all these shows. Happenstance talks to the handsome Pankaj Bhatia on his role in YHM and his fundas of life. Bala is one of the most endearing characters of the show YHM. A near perfect…caring husband, a wonderful son-in-law, a dutiful father …how much of Bala is Pankaj ? YHM a late night show, 11 pm slot, nonetheless managed to climb up the TRP charts upsetting quite a few big wigs on prime time. What’s so unique about the show? How is it being a part of this wonderful journey? Vandita, your wife in the show holds a better position in college, she is the Principal and you are a professor. Yet there is a strong influence on each other, a mutual sense of values, an unsaid understanding, facing the world together. Is this just a fictional phantasm? Are relationships such as this possible in real life? Yes why not… I’ve seen couples like these in real life too where wife earns more than the husband… Especially in our profession where both are actors or freelancers sometimes (actually at times) women are employed for a longer period of time than their husbands…..
Bala Jiju and Ishita share a special bond. It’s a pleasure to watch them stand up for each other and be the much required strength at times of dilemma and quandary. What do you think makes this relationship so special? Unlike most fictional shows that run a risk of getting things all wrong when it comes to mundane realism, YHM is a paragon of near factual accuracy. How would you compare this show to the others that you have been a part of? Chandigarh Ki Galiyon Se Mumbai Di Galiyaaan ……Kaise ??? What was the journey like? Like a dream… Never thought that I could make it a reality but I literally kept praying to God about realisation of my dream and how it all happened and when did it happen, I did’t even come to know…..
After quite a few daily shows, a role as Vibhishan in Mahadev. How was it to portray Vibhishan, the great satvic King of Lanka? Ab Kuch Khatti Meethi and Chatpatti Batein……Dil Se…..
Hazaron Khwaishein Aisi ….Woh ek Khwaish jispe dum nikle ????? Filmfare…. Congrats on the new addition to the family. Parenthood is one of the best journey’s in life, Enjoy the ride. Wishing many more exciting work and projects your way. An exclusive Interview of Rashi Mal. The gorgeous talented beauty who plays the ruthless gang leader ‘Gauri Lada’ in TV Show ‘Paanch’ – Don’t Get Mad, Get Even is a powerhouse of talent. The actress is receiving rave reviews for her performance in the show. We got in touch with the talented girl to know about her character, the show and her future plans. 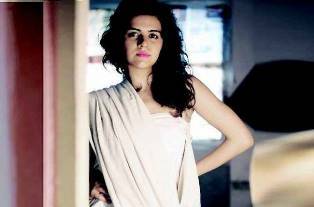 Happenstance reloads her exclusive interview on special request from fans…..
MyNews : Tell us about the character ‘Gauri’ you play in the show ‘Paanch’ – Don’t Get Mad Get Even. Rashi : My understanding of Gauri is that she is a misguided young girl. She has made her own place in the college and this gang of friends is her whole world. She is sharp, perceptive and loves being in control, possibly because of the lack of attention caused by her parents not being around much. She loves her brother and her friends to death although her way of showing it is not necessarily conventional. MyNews: Tell us about your background and how did you land up on this show? Rashi : By qualification I am an IT Engineer and have a diploma in film making from New York Film Academy. I did a brief stint with Citibank before I left to pursue the performing arts full fledged. I have worked extensively in theatre for several years with leading names such as Makrand Deshpande, Hidayat Sami, Sunil Shanbag and Divya Palat. I have done many TVCs including Acer, Nivea, Lays and Hide n Seek etc. I also worked on MTV Rush with Mr Bejoy Nambiar. I am a professionally trained dancer in Jazz, Contemporary, Ballet, Salsa, Bachata, Merengue and have worked as a dancer, choreographer and teacher with The Danceworx (run by dancer/choreographer Ashley Lobo) and Salsa India Dance Company and also trained under renowned dance teacher Sandip Soparkar. Last year I was invited to perform the Tango at the International India Dance Congress held in Bangalore. I also sing and am training my voice with a renowned vocal coach. In addition, I have some experience in direction (short films and plays) and a little writing experience (cartoons/play) as well. I landed this role by a chance audition when I went to audition for another part in a different project altogether. I guess life has its own plans. So here I am today and very happy to have made this decision. All credit to the casting and production team for believing that I could do justice to this part. MyNews: Do you relate anything with ‘Gauri’? Rashi : Gauri couldn’t be more different from who I really am. There was not much to draw from, from my real life as far as the events in Gauri’s life are concerned. I never bullied anyone and scenes that require me to slap someone often leave me more distressed than the people being slapped. Having said that, the very joy of acting is in playing parts that are so totally different from you. We all have a whole palette of emotions and different facets to our personality and you can always find something for you to identify with in the character that you are playing. I think characters on TV or film are a lot of times designed to have one exaggerated personality trait. Like Gauri I think I can be very strong headed and like to do things my own way. MyNews: How has been the response to your character and the show? Rashi : The response has been phenomenal actually. It’s far exceeded my expectations. Playing a gray character I guess somewhere at the back of your mind you hope people don’t hate you as it’s easy for people to forget that’s not who you really are. But I am overwhelmed by the love and support that has come my way via fan pages and messages that continue to pour in daily. 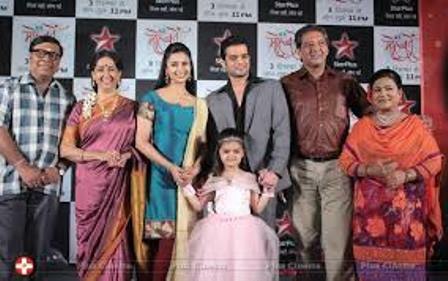 MyNews: If given a chance, which character would you like to play in the show apart from ‘Gauri’? MyNews: What is your dream role? Rashi : I don’t know if there is such a thing as a dream role. Every role that you take on should push your personal boundaries in some way. But a role I would love to play would be one that combines acting, dancing and singing since I am very inspired by musical theatre. From recent times a role I would love to do would be Priyanka Chopra’s from Barfi. I think it was one of the hardest parts and she did an outstanding job. 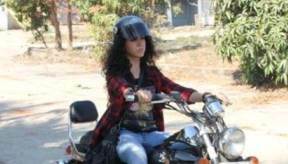 MyNews: What’s next after ‘Paanch’ ? MyNews: Finally a message for your fans. Rashi : Thank you for all the love and support you are giving to our show and to my character. It makes work worthwhile and more so it puts responsibility on us to put our best out there for you guys to watch. So thank you for the motivation and the encouragement both. Hope all you fans have a great time watching the video. Yeh Kaun Aaya Roshan Ho Gayi Mehfil Kiske Naam Se…..
A lot of fans have written to us requesting a translation of Kunal Karan Kapoor’s interview in English. So here you go folks ….. This is Akashwani Rampur, we now present our daily programme “Yuvwani”. In today’s progromme we are broadcasting a talk with Kunal Karan Kapoor, who is a very popular TV actor. Nita: Kunal first of all our audience would like to know something about you as a child, were you naughty, playful, quiet? Kunal: I was a little naughty, a little playful, a little quiet as a child. I think mixture of all these But I used to mostly stay aloof. I was good in studies and used to run a lot. Nita: Run a lot? What did you run away from? Kunal: Nothing – I just used to run around! Nita: Did you participate in plays in school or any other competitions? Kunal: Hmm… No, not really. I only remember participating in a play where I had to play the role of a bush! Nita: Bush! You have come a long way from there. Nita: Not many people are aware that your first break was a small role in the popular serial Rajni at the age of 13. How did you land that role? Kunal: I used to go around offices looking for a role. I had met someone from the production house that had produced Rajini. Fortunately, someone there remembered that a young boy was looking for a role. They informed me that there is a small role and whether I was interested in it. That’s how I got the role. Nita: How did your family and friends react to this? Kunal: No one believed me when I told everyone. But when it was finally telecast they were shocked to actually see me onscreen. It was nice. Nita: After Rajni you have been associated with acting since 2004. How did you finally join the mainstream TV acting? Kunal: As I told you earlier I had met a lot of people with regard to roles on TV when I was 13-14 years old. I felt I my life had come to a standstill in my job in a call center. I felt I need to do something more, so I tried to contact people I had met, Shristi Arya was the producer of Remix and I had met her as a child. She called me and said if you are not doing anything, come audition for the role. Thankfully that worked. That was my first show Remix. Nita: Could you tell us about the other roles you have played? Kunal: Remix was my first serial, then came Left Right Left, Mayka, Man ki awaz Pratigya, Rishton se badi Pratha and then came Na Bole Tum Na Maine kuch Kaha. Nita: What kind of character did you portray in these serials? Kunal: In Remix I played the role of an under-confident student, who did not talk much, used to stammer, basically a nerd. Who finally with the help of his friends and family tries to overcome his disabilities and fears; and he makes it through. Left right left was an army cadet, in Mayka a fun loving guy who is a thief initially who later mends his ways. In Pratha as a friend to the main hero and the character was called Amrik, who helps them. Pratha was about honor killing, the boy and girl run away and Amriks helps them and in the process gets killed.. Pratigya was Angad a bad guy, a negative role and in the end Na Bole Tum Na maine Kuch Kaha – Mohan Bhatnagar. Nita: In Na Bole Tum you have played three variations of the main character – two as Mohan Bhatnagar and one as Vasu. How difficult was it to get into the character, how much did you have to prepare? Kunal: Honestly, you follow the script. You read the script and try to ascertain what the writer and director wants from you. You form the character in your mind, preparation as in a case study or research was not done. But an effort to go and work every day and do something new every day and work hard. Nita: Basically you try to understand the character and play the part. Kunal: That is the basic aim and there are many people who help you. Nita: You have got a lot of love and acclaim as Mohan Bhatnagar. How did you land this role? Kunal: I had given an audition 2-3 years ago for Sunshine Production. Sudhir Sir the producer saw the audition and called me. I met him and I was like “I don’t want to act, please give me some creative work”. He asked me to give it a try and we shot something. Nita: And you got the role! Nita: In one of the interview you had said there are a lot of similarities between the Mohan Bhatnagar of season 1. Did you personally evolve with season 2? Kunal: I never said there is a lot of similarity, I always said 60:40. In season 2 I just went with the flow I just went with character that has gone through 12 years and how he would think. So the base was the same, main character type was the same he had only matured a bit. Nita: Did you mature personally too? 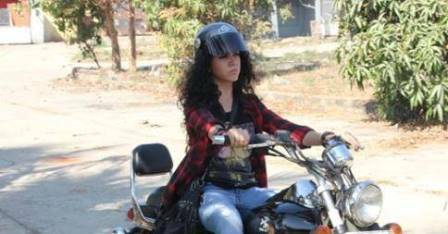 Nita: NBT is a serial where fans are very emotionally attached; each one has their own reason for this attachment. Is this a special show for you too and what are your reasons? Kunal: Yes, this is definitely a very special show for me too. I haven’t worked so much before. I have gained a lot from this show, a chance to work hard, many opportunities, a lot of love, and a lot of recognition. So definitely it is very important it has been a life changing role. Nita: When during NBT season 1 did you feel you have become a celebrity? Kunal: I don’t feel that even today. Nita: What have you been doing after NBT and what do you want to do in future? Kunal: Honestly, I want to do better roles. I have relaxed after NBT, traveled a bit… rather travelled a lot!! Am looking for work now! Nita: Finally some rapid fire questions, if there was heaven would you have been granted permission to enter? Kunal: I hope so, but I don’t know if I would have entered or not? Nita: It you had entered what was the first thing you would have said to God? Kunal: Probably I would have said thank you. Since I got an opportunity to see so much in life! Nita: Among small-small thing what is it that brings a smile on your face? Nita: A moment that you do not want to forget. Nita: If you get stranded alone somewhere, what are the three items you would want? 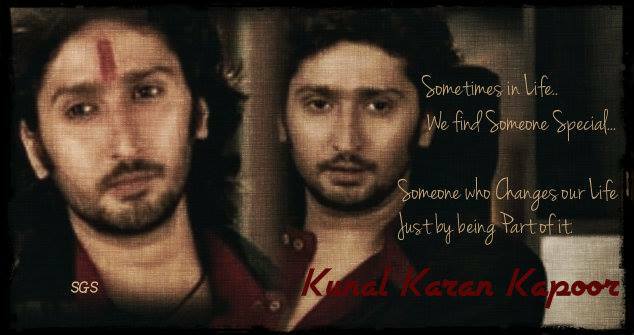 Kunal: Difficult – but eyes! Nita: Your face book fans are increasing by the day, so what is the message you would like to give your fans? Kunal: Thank you for all the love. Thanks a lot for all the support. It seems like an extended family, which is a rare feeling in my life. It feels very nice; it feels very-very humble. Yeh Kaun Aaya, Roshan Ho Gayi Mehfil Inke Naam Se……..
Happenstance brings you yet another interview from the vivacious Kunal Karan Kapoor as he speaks out to the ‘Radio’ fans. Dr. Nita Khandekar, Principal Scientist at the Indian Institute of Horticultural Research, Bangalore who does a lot of professional work with them, as a true fan, managed to get Kunal, for a change, talk to the radio audience for ‘Yuvawani’ on All India Radio, Rampur, Uttar Pradesh. So here we are with this interview, by Nita, as she unravels Kunal’s journey on small screen. Happiness, Success and Good Luck be with you …..Kunal …Always.